For the Dutch village, see Kortrijk, Netherlands. It is the capital and largest city of the judicial and administrative arrondissement of Kortrijk. The wider municipality comprises the city of Kortrijk proper and the villages of Aalbeke, Bellegem, Bissegem, Heule, Kooigem, Marke, and Rollegem. Kortrijk is also part of the cross-border Lille-Kortrijk-Tournai metropolitan area. 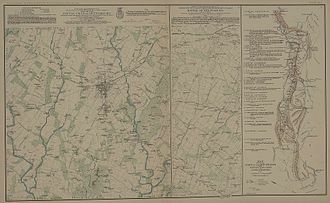 The city is on the river Leie, 42 km (26 mi) southwest of Ghent and 25 km (16 mi) northeast of Lille. Mouscron in Wallonia is just south of Kortrijk. Kortrijk originated from a Gallo-Roman town, Cortoriacum, at a crossroads near the Leie river and two Roman roads. 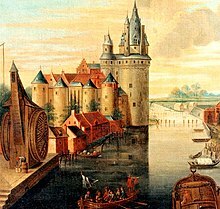 In the Middle Ages, Kortrijk grew significantly thanks to the flax and wool industry with France and England and became one of the biggest and richest cities in Flanders. The city is often referred to as City of Groeninge or City of the Golden Spurs, referring to the Battle of Courtrai or the Battle of the Golden Spurs which took place on 11 July 1302 on the Fields of Groeninge in Kortrijk. In 1820, the Treaty of Kortrijk was signed, which laid out the current borders between France and Belgium. Throughout the 19th and 20th century, the flax industry flourished and remains important within the Belgian textile industry today. Kortrijk is the largest city in southern West Flanders, with several hospitals, colleges and a university. Kortrijk was the first city in Belgium with a pedestrian shopping street, the Korte Steenstraat. The Roman name Cortoriacum meant in latin, the settlement near the curb in the river. There is also mention of Cortoracum in some Litterature. Its name later evolved to Cortrycke, Cortryck, and Kortrijk (19th Century). The French Called it Courtrai. 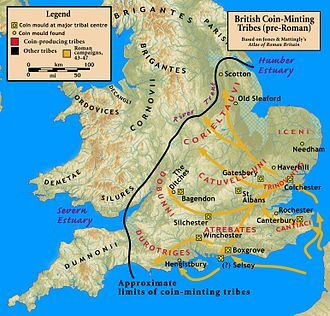 Findings from an archeological digging in 1950 (3 remains of Roman Funeral Pyres were found) seem to indicate that the vicus was used as an encampment/base by the romans during their invasion of Britain in 43ad. Cortoriacum was a larger Gallo-Roman vicus of civitas Menapiorum at an important crossroads near the Lys river of the Roman roads linking Tongeren and Cassel and Tournai and Oudenburg. 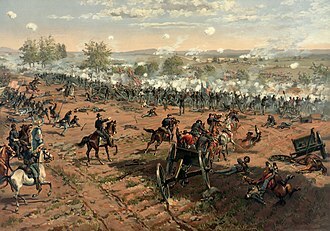 It was first mentioned in a document from the 4th or 5th century called Notitia Dignitatum where the Cortoriacenses (Cavalry)Troops were mentioned. In the 9th century, Baldwin II, Count of Flanders established fortifications against the Vikings. The town gained its city charter in 1190 from Philip, Count of Flanders. The population growth required new defensive walls, part of which can still be seen today (the Broeltorens, Armory, Kortrijk). Several local places still refer to physical parts of the Defensive Structures around Kortrijk (Walle, Waterpoort, Menenpoort, Gentsepoort, Brugsepoort, Kasteelkaai); Most of the Physical parts have been overbuilt or destroyed. In the 13th century, the battles between Fernando of Portugal, Count of Flanders and his first cousin, King Louis VIII of France, led to the destruction of the city. The Counts of Flanders had it rebuilt soon after. To promote industry and weaving in the town, Joan, Countess of Flanders exempted settlers in Kortrijk from property tax. From that time, Kortrijk gained great importance as a centre of linen production. In 1302, the population of Bruges started a successful uprising against the French, who had annexed Flanders a couple of years earlier. On 18 May the French population in that city was massacred, an event that could not go unpunished. 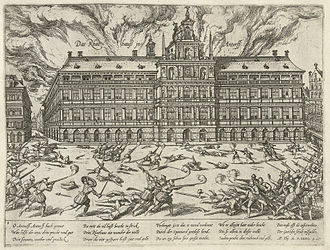 The famous ensuing Battle of Courtrai or the Battle of the Golden Spurs (Dutch: Guldensporenslag) between the Flemish people, mostly commoners and farmers, and Philip the Fair’s knights took place near Kortrijk on 11 July, resulting in a victory for Flanders. This date is now remembered as a national holiday by the whole Flemish community. Following a new uprising by the Flemish in 1323, but this time against their own Count Louis I, the French invaded again. These Flemish acquisitions were consolidated by the French at the Battle of Cassel (1328). Louis I’s son, Louis II, then Philip van Artevelde briefly regained the city in 1381 but lost it again the following year at the Battle of Roosebeke, resulting in a new wave of plundering and destruction. Most of the 15th century was prosperous under the Dukes of Burgundy, until the death of the Burgundian heiress, Mary of Burgundy, in 1482, which ushered in renewed fighting with France. The 16th century was marked by the confrontations engendered by the Reformation and the uprising of the Netherlands against Spain. Louis XIV’s reign saw Kortrijk occupied by the French five times in sixty years and its former fortifications razed. The Treaty of Utrecht finally assigned the whole area to Austria. After the French Revolution and the Napoleonic era, the textile industry, based on flax, and the general economy of the city could finally prosper again. Kortrijk was heavily bombed in the summer of 1917, but was liberated by the British Army the following year. During World War II the city was an important railway hub for the German army, and for this reason was the target of several allied air-strikes. On 21 July 1944 (the Belgian National Day) around 300 Avro Lancasters dropped over 5,000 bombs on the city centre. Many historical buildings on the central square, as well as the old railway station, were destroyed. The metropolitan area, including the outer commuter zone, also consists of Kuurne, Wevelgem, Zwevegem and Harelbeke. Although these municipalities have strong morphologic ties with Kortrijk, they aren't officially part of the city. Kortrijk has an oceanic climate (Köppen Cfb). Medieval City Hall (on the main square, the Grote Markt). The façade of the late-Gothic, early Renaissance city hall is adorned with the statues of the Counts of Flanders. The belfry is surmounted by a statue of Mercury, god of the merchants. The belfry is classified by UNESCO as a World Heritage Site. Our Lady Hospital (Onze-Lieve-Vrouwehospitaal), founded in 1200–1204. The Saint-Martin church dates from the 13th century but was mostly rebuilt after a fire in the 15th century. It now houses a 48-bell carillon. Its 83-meter (272 feet) tower remains the highest building in the city. 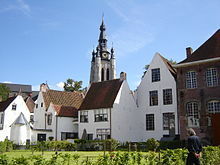 The beguinage is one of the quaintest sites in the city. It too, was listed by UNESCO as a World Heritage Site. The church of Our Lady (Onze-Lieve-Vrouwekerk) is former collegiate church. Here the golden spurs taken from the battlefield in 1302 were hung. It houses a rich interior with an altar piece of van Dyck. the Count’s chapel (Gravenkapel), built after the example of la Sainte Chapelle in Paris as shrine for Louis II of Flanders. Broelmuseum (Museum of Fine Arts and archaeological museum), with paintings by Roelant Savery and international Ceramic. National Flax Museum in honour of the plant that once was the main driver of Kortrijk’s economy. 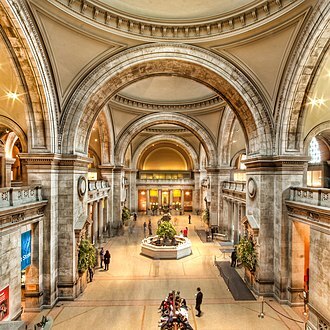 This museum will be relocated. Groeninge Abbey with the Groeningemuseum. This museum gives you an overview of Kortrijk's history. Beguinage museum located in the old town, in the béguinage. Bakery- and Millmuseum, located in an old windmill. International Rose gardens, located in the park of the Castle t Hooghe, in the Hoog-Kortrijk quarter just in front of Kortrijk Xpo. The E17: connects Kortrijk with Ghent, Sint-Niklaas and Antwerp to the northeast, and with Lille and Paris to the south-west. The E403: connects Kortrijk with Bruges and Ostend to the north, and with Tournai, Mons and Charleroi to the south-east. The Belgian highway A19: connects Kortrijk with Ypres and the Belgian coast. The R8: connects the outskirts of Kortrijk with each other and the surrounding villages, and also leads to the A19, E403 and E17 roads. The R36: connects the different downtown quarters with each other, and provides access to the main avenues. Kortrijk main railway station: an international railway station with direct connections to Brugge Centraal (Bruges), Brussel Zuid, Antwerp, Ghent, Poperinge and Ieper (Ypres), Oudenaarde, other Belgian towns and Lille in France. The station also offers a direct connection to Brussels Airport. Bissegem Station: a regional railway station in the village of Bissegem with connections to Ypres. Kortrijk has an extensive web of public transport lines, operated by De Lijn, providing access to the city centre and the suburbs (city lines, Dutch: stadslijnen) and to many towns and villages in the region around the city (regional lines, Dutch: streeklijnen). At Kortrijk main railway station, there is a bus station where regional buses stop as well. The city has an airport known as Kortrijk-Wevelgem International Airport, which is mainly used for business travel and medical flights. Kortrijk Airport is located northwest of the citycentre, next to the R8 ringroad. 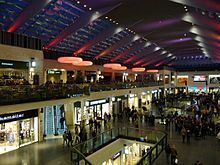 The national Brussels Airport, one hour away by train or car, offers the best international connectivity. The Lille Lesquin International Airport is located 35 kilometres from Kortrijk. 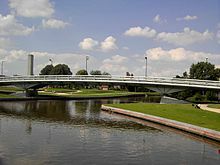 The river Leie is an important way of transporting goods through inland navigation. The Bossuit-Kortrijk Canal enables in the city centre a direct connection with the river Scheldt. Within the City, the river briefly splits in two, to re-join about a mile further. Oude Leie original southernmost riverbed where the Broel towers still stand. From the 1970s on, the planning and later the execution of the so-called Leiewerken (Leieworks) started. These construction works comprised the deepening and widening of the river. This would enable ships with 4400 tons to navigate from France to the Scheldt. At the same time, this project included a thorough urban renewal of the riversides in the city. Seven new bridges were to give a new architectural impulse to the river quarters as well as the construction of several new parks along the river. More recently (2018), the docks in front of the Broel Towers were lowered to allow the public to enjoy the historic Leie View. Several small streams or Beken in and around Courtrai were of significant topological, historical and Geological value. Lange Mere Mentioned in the Town accounts of 1412-13 as Langhe Meere. Mosscher (High Mossher and Low Mosscher) ending in the Southern Moat (Sanderus Map mentions only the 'Mosscher as a single toponym. It was also mentioned in almost full length on the Deventer Map. Groeninghe (first mentioned as Groeninc in 1412 ) Its name came from the green color of the flooded meadow where it originated. Grote Vijver (first mention as Hoghen vivere in the town accounts of 1416-17). Cars are required to yield to pedestrians and cyclists. In general, cars are led to large underground car parks in the historic centre of Kortrijk or Park&Ride parking outside the town centre. Large parts of the historic centre are car free. The city is historically connected with the flax and the textile industry, and still today the textile industry remains important in the region. Major companies which have headquarters in Kortrijk include Cisco, Barco and Bekaert. Kortrijk serves as an educational centre in south West Flanders, attracting students from the entire region. There are 55 schools in Kortrijk, on 72 different locations throughout the city, with an estimated 21,000 students. The city also provides higher education. The Kortrijk University, the KULAK, a campus of the Catholic University of Leuven, is located in on the south edge of the city, in the Hoog Kortrijk quarter. Other institutes of higher education include the Katholieke Hogeschool Zuid-West-Vlaanderen (KATHO) and Hogeschool West-Vlaanderen (HOWEST) university colleges. There is also a campus of Ghent University. Even though Kortrijk is a Dutch-speaking town, it borders Wallonia, and is only 9 km (5.6 mi) away from the border with France. This has created an urban area that extends across linguistic and national borders. The mayors of Lille, Kortrijk and Tournai met in Kortrijk on 28 January 2008 to sign a document creating the first European Grouping of Territorial Cooperation within the EU. The purpose of this organisation is to facilitate the movement of people within this area of nearly 2 million people. Kinepolis, a modern cinema multiplex with 10 screens. Budascoop, a 5 screen cinema, specialised in European movies. The Internationaal Festival van Vlaanderen (April–May): several concerts of classical and modern music. Student Welcome Concert: rock festival to celebrate the start of the new academic year at the Kortrijk University and the Kortrijk Colleges. Also, trade shows and events such as the international Design Fair Interieur, Busworld and the Eurodogshow take place in the Kortrijk Xpo event center. These fairs attract numerous visitors to the city. In July and August there are various boat tours on the river Leie. Local specialities include Kalletaart (apple cake with Calvados), Peperbollen, biscuits, and chocolate little beguines. The town of Heule is the home of the Picobrouwerij Alvinne brewery, while Bellegem is the home of the Bockor brewery. The new downtown shopping centre K in Kortrijk. Kortrijk was the first town in Belgium to have a fully traffic-free shopping street, the Korte Steenstraat (1962). Later, a lot of neighbouring streets were also made traffic-free. As a result, Kortrijk nowadays has one of the biggest traffic-free areas in Belgium (comprising Lange Steenstraat, Steenpoort, Sint-Jansttraat, Wijngaardstraat and several squares). Kortrijk has several indoor shopping malls including the Ring Shopping Kortrijk Noord, Bouwcentrum Pottelberg and K in Kortrijk (opened March 2010). The latter is in the town centre and which links the main shopping street (Lange Steenstraat) with the Veemarket square. It contains up to 90 stores, including Saturn, H&M, Zara and many other clothes, food and houseware stores. Kortrijk has three official football clubs. K.V. Kortrijk plays in the Belgian First Division A after winning the championship in the former Belgian Second Division during the 2007–2008 season. SV Kortrijk plays in the fourth provincial division. Wikings Kortrijk is for youth teams. In Flanders generally, professional cycling is very popular. Many cycling races start, finish or pass through the Kortrijk area. Amongst them are the Driedaagse van West-Vlaanderen, Kuurne–Brussels–Kuurne, Gent–Wevelgem, the Tour of Flanders and Dwars door Vlaanderen. Kortrijk also hosts an after-tour criterium at the start of August called Kortrijk Koerse. Many of the riders who participated in the Tour de France usually appear at the start. KZK, Kortrijkse Zwemkring, arguably the best waterpolo team in Belgium, having won the Belgian championship nine times. In the 2007–2008 season they won both the championship and the Belgian cup. Carl Colpaert, director, founder of Cineville.com, Inc.
Kortrijk participates in town twinning to encourage good international relations. ^ "Internet site of the town of Izegem". Retrieved 7 September 2011. ^ "An inventory of locations suitable for wind energy in Flanders region". Retrieved 7 September 2011. ^ "EUROMETROPOLIS : Eurometropolis Lille-Kortrijk-Tournai, the 1st European cross-bordrer metropolis". ^ "The Princeton Encyclopedia of Classical Sites, CORTORIACUM (Courtrai) Belgium". 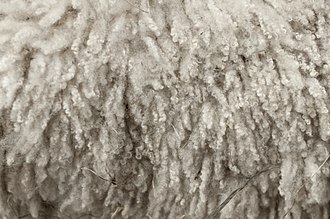 Retrieved 2018-06-08. ^ Courtrai (Flem. Kortrijk), a walled town of Belgium, on the Lys, 54 miles SW. of Brussels by rail, and 6 from the French frontier. It has a fine eld bridge flanked with towers, a noble townhall (1526), belfry, and a beautiful Gothic church, founded in 1238 by Baldwin, Count of Flanders. Table damask, linen, and lace are the chief manufactures. 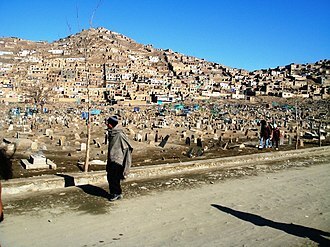 Population, about 35,000. Here, in 1302, the citizens of Ghent and Bruges won over the French the 'Battle of the Spurs,' so named from the number of gilt spurs gathered from the dead. Chambers's Concise Gazetteer Of The World, by David Patrick. W. & R. Chambers, Limited, 1906. ^ "Klimaatstatistieken van de Belgische gemeenten" (PDF) (in Dutch). Royal Meteorological Institute. Retrieved 30 May 2018. ^ UNESCO. "Belfries of Belgium and France". Retrieved 2008-01-26. ^ UNESCO. 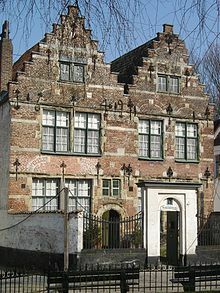 "Flemish Béguinages". Retrieved 2008-01-26. ^ Sanderus, Antonius (1586-1664) Cartographe (1600). "Castellaniae Corturiacensis tabula / Ant. Sanderus". 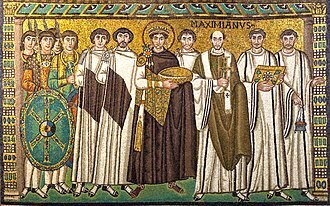 Gallica. Retrieved 2018-07-06. ^ "Duurzame Mobiliteit – Stimuleer de opmaak van schoolvervoerplannen". Duurzamemobiliteit.be. Retrieved 2012-02-10. ^ "Kortrijk betreurt het overlijden van haar ere-burgemeester". Kortrijk civic site. 2011. Retrieved 7 November 2011. ^ "071218 Cubelplan 2007–2012" (PDF). Archived from the original (PDF) on October 1, 2011. Retrieved 2012-02-10. Fegley, R. (2002). The Golden Spurs of Kortrijk: How the Knights of France Fell to the Foot Soldiers of Flanders in 1302, 2007. McFarland and Company Inc.
Wikivoyage has a travel guide for Kortrijk. 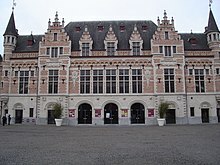 Wikimedia Commons has media related to Kortrijk. Wikisource has the text of the 1911 Encyclopædia Britannica article Courtrai. The term community should not be capitalized. State reforms in Belgium turned the country from a state into a federal one. 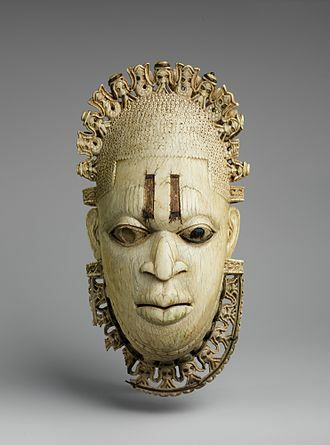 Cultural communities were the first type of decentralisation in 1970, forming the Dutch, French, on, in 1980, these became responsible for more cultural matters and were renamed to simply Community, the Dutch Community being renamed to the Flemish Community. In the same state reform of 1980, the Flemish and Walloon Region were set up, in Flanders it was decided that the institutions of the Flemish Community would take up the tasks of the Flemish Region, so there is only one Flemish Parliament and one Flemish Government. Legally speaking, in the region of Brussel-Capital, the Flemish Community is responsible not for people but for Flemish institutions such as schools, libraries. The reason is no distinct sub-national status exists in Belgium. Yet, individuals living in Brussels can opt by their own choice for certain policies of the Flemish Community, Dutch is the official language of the Flemish Community. Minorities speak French, Turkish, Berber, Spanish, though most of these groups are recent immigrants, since the Middle Ages, Jews have formed the oldest minority to retain its own identity. Compared with most areas in the Netherlands, the dialects of Flemish people still tend to be strong. In Dutch, these are often called tussentaal or, rather derogatorily, more recently, a number of local initiatives have been set up to save the traditional dialects and their diversity. In Brussels, the dialect is heavily influenced by French. Nowadays, most Flemings in Brussels do not speak the local dialect and this is due in part to the relatively large numbers of young Flemings coming to Brussels, after a long period of many more others moving out while French-speakers moved in. In certain municipalities along the border with the Walloon and the Brussels-Capital regions and these cover rights such as to receive official documentation in their own tongue. The community competencies there, are exercised by the two affected institutional communities, the Flemish Community therefore established a local elected council and executive to cater for intermediate-level decision making & public services. The Katholieke Universiteit Leuven Kulak, or Kulak is a university satellite campus in the city of Kortrijk of the KU Leuven. It is the university in the Belgian province of West-Flanders. Kulak stands for “Katholieke Universiteit Leuven Afdeling Kortrijk, although the university buildings were upgraded from a mere branch or dependence to a real campus in the late 1990s, the designation of Kulak is still used. The main reason for this is that it rolls off the much easier than the new letter construction with its three consonants ending. 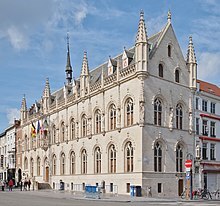 Located in the city of Kortrijk in Flanders, the Kulak is officially a Dutch-speaking institution, as the name implies, it is a university campus affiliated with the Catholic University of Leuven situated on the southern rim of Kortrijk. The idea behind this campus is twofold, first of all, Leuven always had a strong portion of its students coming from the West-Flanders region. Yet, many students are wary of moving to Brabant for an adventure that would involve an almost complete rupture with their familiar surroundings. Secondly, the majority of students who quit university do so in their first year, depending on the studies, the first two years draw two to three times as many students as the last three or four. Leuven benefits as more students in Kortrijk means lesser students in the chronically overcrowded first year lectures in Leuven. Students that have completed the first two years will still move to Leuven to specialize but by they will be mature, confident. Almost twenty years ago, economics was added to this list, now many other subjects and pedagogics, are available as well. With the first two years giving a layout of the subject, there are no specializations, only general chairs. About half of the students either in the university dormitory or in a rented room nearby. The other half lives with their family in the greater Kortrijk region, close enough to drive to the university in the morning, the fist academic year started at the KULAK in 1965. Initially, the took place in het Vormingsinstituut for SMEs. Kortrijk is a Belgian city and municipality located in the Flemish province West Flanders. It is the capital and largest city of the arrondissement of Kortrijk, the wider municipality comprises the city of Kortrijk proper and the villages of Aalbeke, Bissegem, Kooigem and Rollegem. Kortrijk is part of the cross-border Eurometropolis Lille-Kortrijk-Tournai, which had 2,155,161 residents in 2008, the city is situated on the Leie,42 km southwest of Ghent and 25 km northeast of Lille in France. 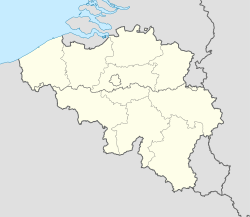 In addition, Mouscron in Wallonia is located just south of Kortrijk, both Kortrijk and Lille are part of the same transnational Eurodistrict urban agglomeration with around 1,900,000 inhabitants. As the biggest city of southern West Flanders, Kortrijk has many schools, Kortrijk originated from a Gallo-Roman town, called Cortoriacum at a crossroads near the Leie river and two Roman roads. During the Middle Ages, Kortrijk grew significantly thanks to the flax and wool industry with France and England, in 1820, the Treaty of Kortrijk was signed, which laid out the current borders between France and Belgium. 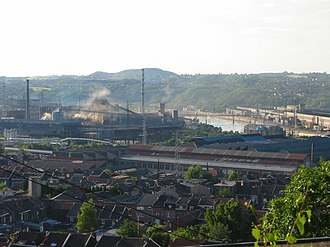 Throughout the 19th and 20th century, Kortrijk became a center of the flax industry, Kortrijk is the largest city in southern West-Flanders with several hospitals, colleges and a university. Kortrijk was the first city in Belgium with a shopping street. Nowadays, a big part of the city center is a complete pedestrian area with lots of shops. Another shopping mall is located near the edge of the city. Cortoriacum was a typical Gallo-Roman vicus at an important crossroads near the Leie river and it was situated on the crossroads of the Roman roads linking Tongeren and Cassel and Tournai and Oudenburg. 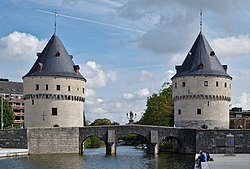 In the 9th century, Baldwin II, Count of Flanders established fortifications against the Vikings, the town gained its city charter in 1190 from Philip, Count of Flanders. The population growth required new defensive walls, part of which can still be seen today, in the 13th century, the battles between Fernando of Portugal, Count of Flanders and his first cousin, King Louis VIII of France, led to the destruction of the city.